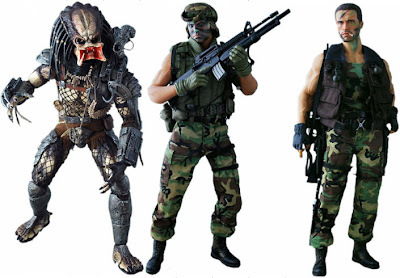 Hot Toys have done some incredible 1/6th scale figures in their time, some of which I proudly own, but I was particularly impressed that they'd picked up the Predator license and will be releasing three original movie figures; Dutch, Billy and the Predator himself. Each figure comes with a huge array of accessories like weapons, clothing and even a cigar for Dutch (Arnold) and the likenesses are incredible, as they always are with Hot Toys figures. Expensive but worth every penny if you're a collector like me!